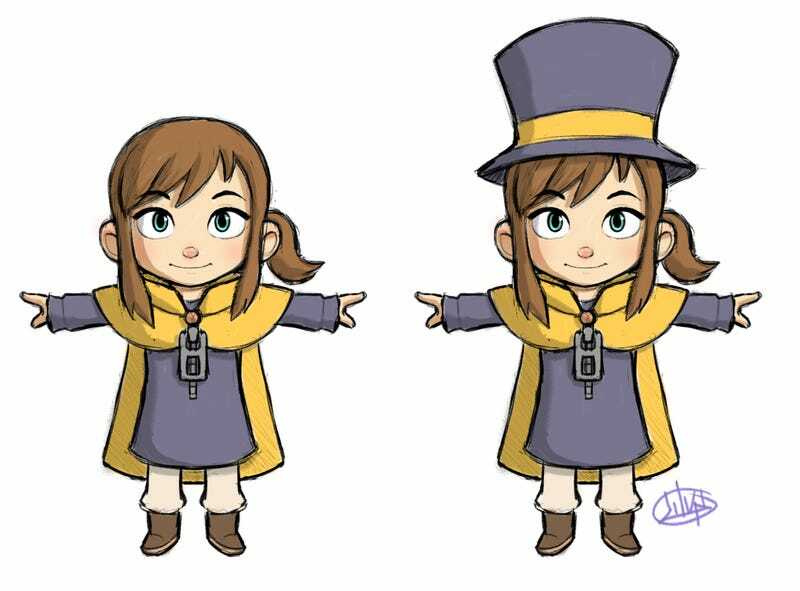 I don't check Kickstarter as much as I used to, but boy oh boy, was I glad to see A Hat in Time show up on the crowd funding site today. For those who don't know the TAY's very own Habboi is major part of the team behind the game. I'm sure he'll have more to say about it in the near future. Until then you should really consider backing such a fine looking game. I already secured a digital copy, the soundtrack, a booklet, a postcard and a special in-game hat just for pledging $20. What a deal! Any game that is based on N64 collect-a-thons is worth making in my book. I can't even begin to tell you how excited I am for this game. Go here to support Habboi in creating this gorgeous looking game!